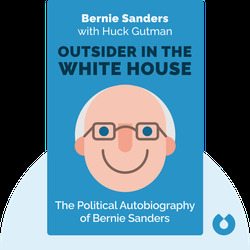 Outsider in the White House (2015) tells the story of Bernie Sanders, the presidential candidate and US senator. From marching for civil rights in the 1960s to campaigning against big money in politics as a 2016 presidential candidate, Sanders has always been at the forefront of US left-wing politics. 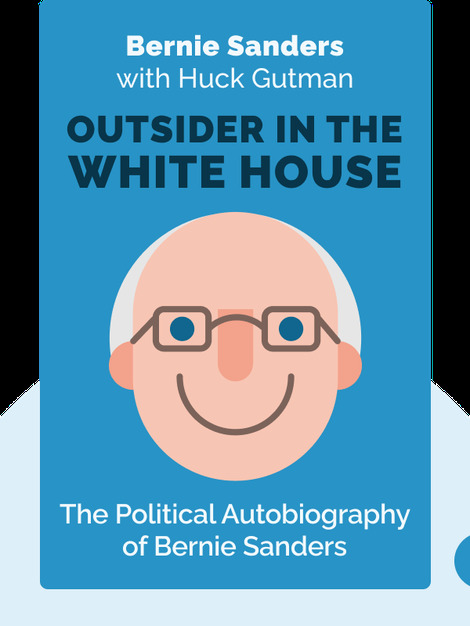 First published in 1997 as Outsider in the House, this updated version of Bernie Sanders’s autobiography traces his lifelong fight for social justice and economic fairness. Bernie Sanders is a US politician who describes himself as a democratic socialist. After four terms as mayor of Burlington, Vermont, Sanders served as a congressman. Currently a senator, he is running for the office of President of the United States. Huck Gutman, a professor of English at the University of Vermont, is an American academic and political advisor.